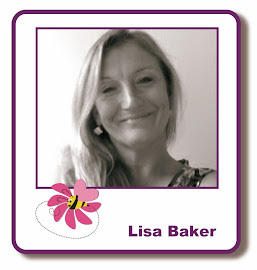 Hello everyone, Lisa here, welcome to the November newsletter. I hope you had a great October. Kirsten and I had a wonderful time in Spain and I'm just back from the Stitching, Sewing and Hobbycrafts show at the NEC in Birmingham, where I was demoing for Imagination Crafts. It was an incredibly busy four days, but we great fun and of course, all the Christmas products really get you in the mood for the upcoming festive season. But for now, it's time to think about this Friday's classes in Fant Hall, Maidstone - our second last class of 2016!! There are a few places left in both classes, so if you would like to join us, please email me - lisabaker1@btinternet.com - or telephone - 01622 675078 - before lunchtime on Thursday, Nov 10. Class times on Friday are 2.30 to 5.30 and 6.30 to 9.30. The mobile shop will be in Fant Hall from 2.30 to 9.30 on Friday - remember to bring your loyalty cards! The shop is open to all, so even if you're not attending a class, feel free to drop in. You are welcome to purchase items in advance from the website and I will bring your order with me on Friday. Please complete your online order by Thursday lunchtime, so that I can pick everything before loading the van. That's all the news for now. Thank you to everyone who ordered from the website while I was away, your orders have been dispatched and those placed today will be sent out tomorrow. Until next time, enjoy the rest of November.